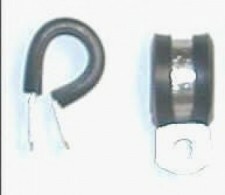 You can use this stainless steel loop clamp for a variety of applications. It has a rubber protector to keep your equipment that you are attaching to from abrasion. You are purchasing ONE clamp for this price!